The importance of heritage at Inglenook is on display in our boutique with a beautiful selection of vintage collectibles and luxury gifts. Francis and Eleanor Coppola, like all great curators, are passionate about items that tell a story, and as a result much of the merchandise we offer was discovered during their own personal travels. 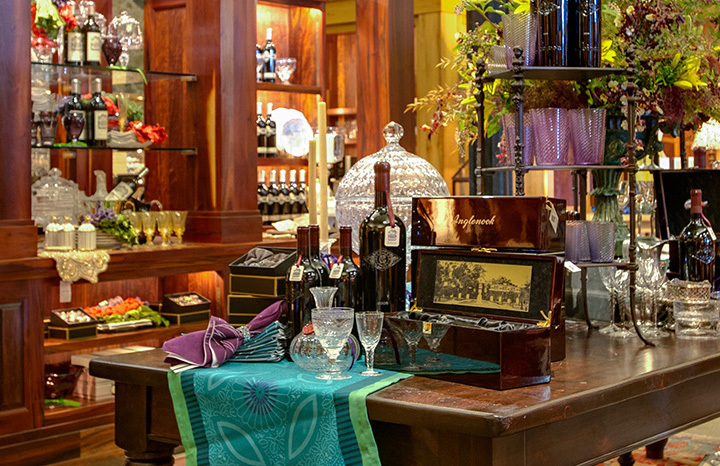 During your visit, we invite you to peruse our marketplace of one-of-a-kind antique wine accessories and handmade Italian products, as well a wide selection of fine apparel and elegantly crafted pieces for entertaining and perhaps a bit of storytelling of your own.